It has been such a long time…I have since moved into a space at Gallery on First in Sanford, FL. http://www.galleryonfirst.com A place to work and show the work. 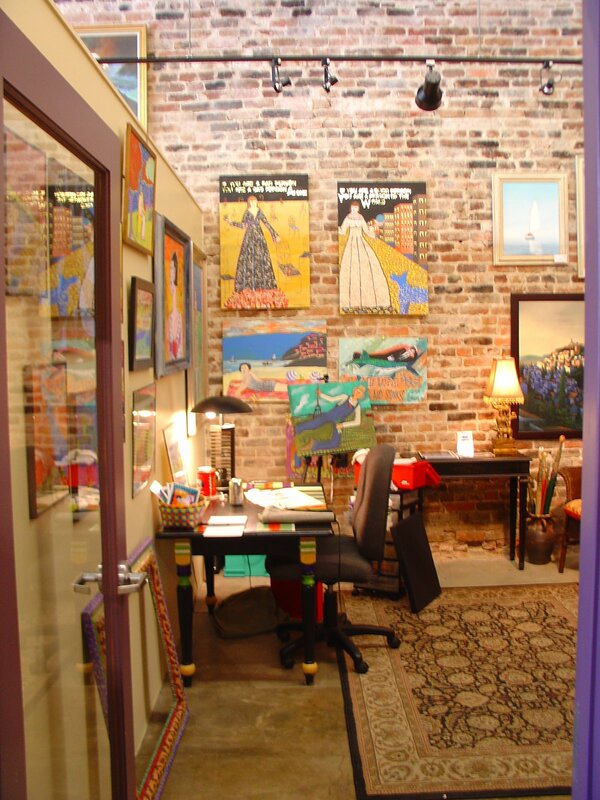 People come through to see the art in the main gallery, Jeanine Taylor Folk Art, then find themselves wandering the perimeter to see the studios and working artists. Seems like a win win. I am sharing the space with Dan Tashlin, a very talented realist painter. Who is also a very nice man. The other artists are very supportive and have made me feel very welcome. Their families have even stopped in Studio 3 to say hello and introduce themselves. I have done some new work being in this energy filled place. And somehow I have found myself back with the fat ladies on the beach. I am doing small paint sketches and working toward some larger pieces for the opening on June 6 where we all show our new work that has been hidden from the public during its creation.